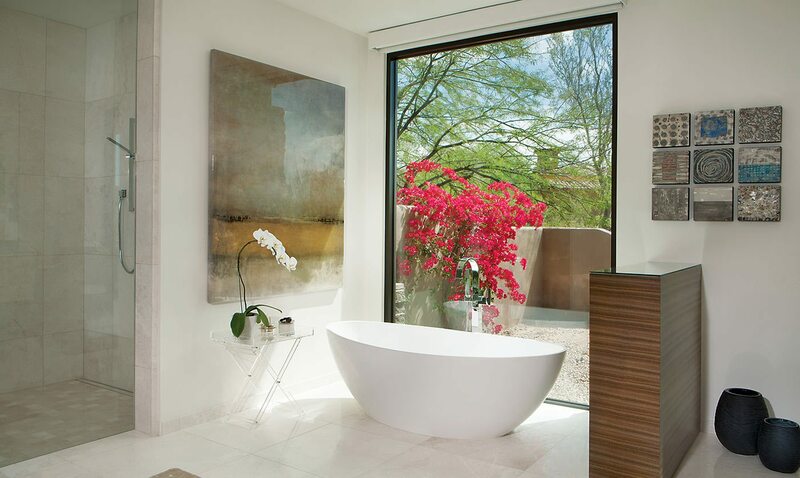 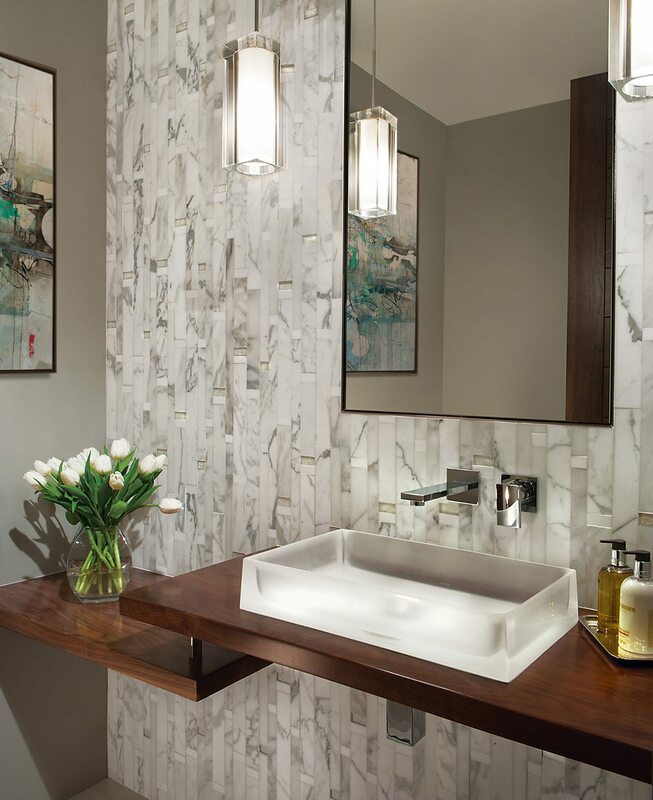 The team at Janet Brooks Design firm incorporated a modern update to an outdated Scottsdale, AZ home. 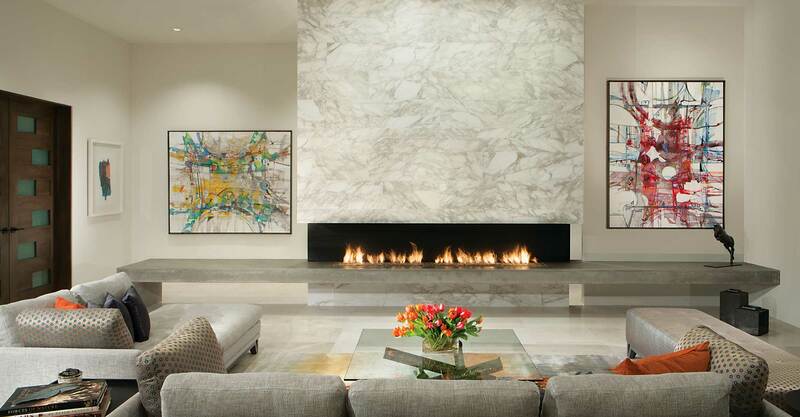 This Luxury Residential Interior Design highlights white marble flooring, floating cabinets, and a stunning, massive Calacatta marble fireplace. 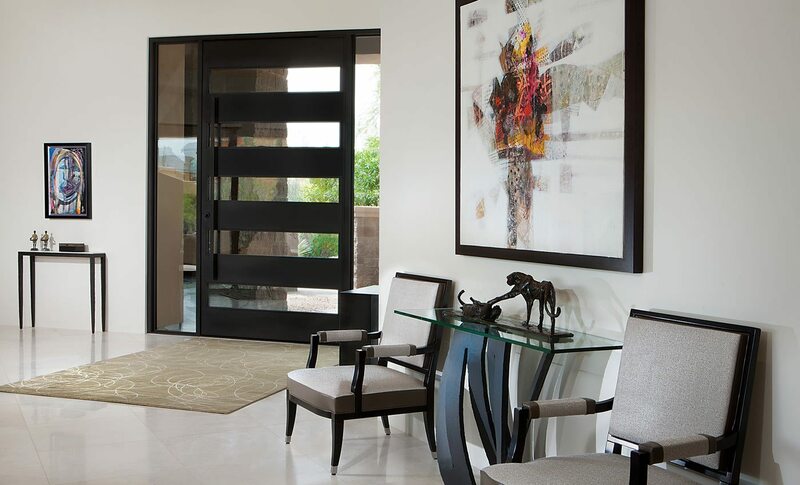 Good “bones” in this contemporary home in DC Ranch, Scottsdale was the starting point for the process of updating a tired design aesthetic. 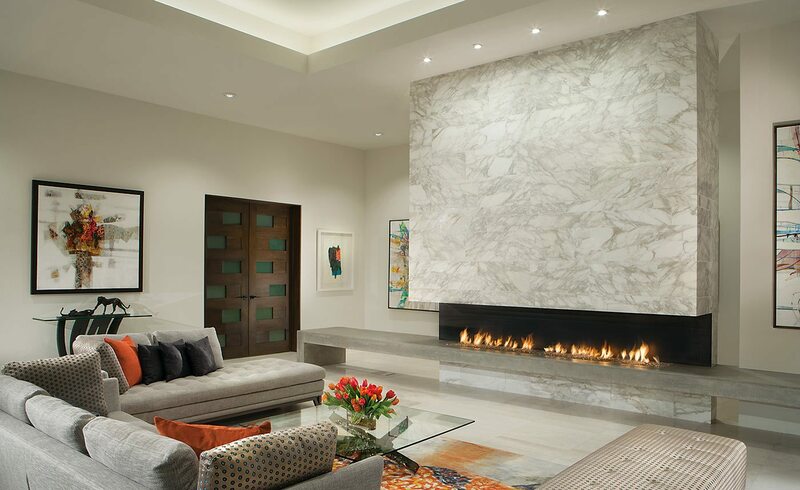 White marble flooring replaced old travertine. 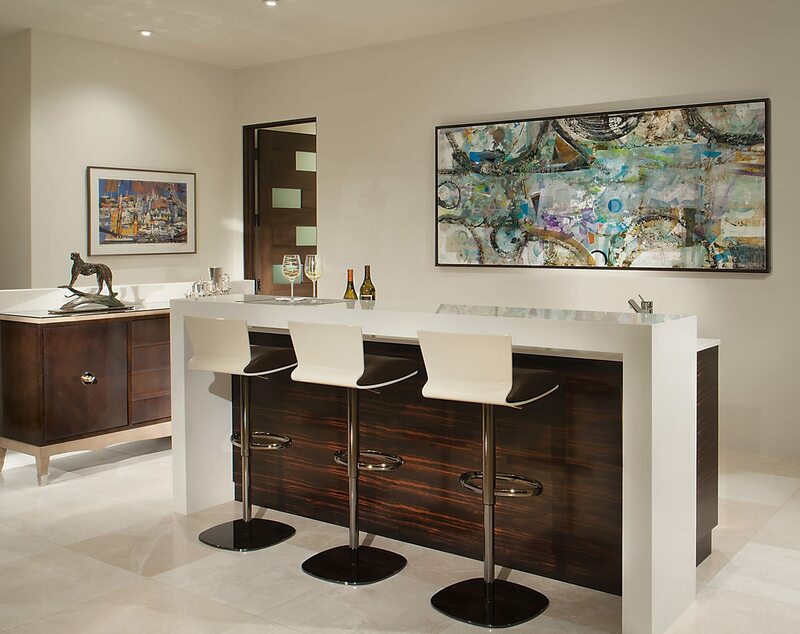 Soffits and architectural details were simplified incorporating indirect LED lighting, and old Alder cabinets were replaced with Walnut and Macassar Ebony floating cabinets. 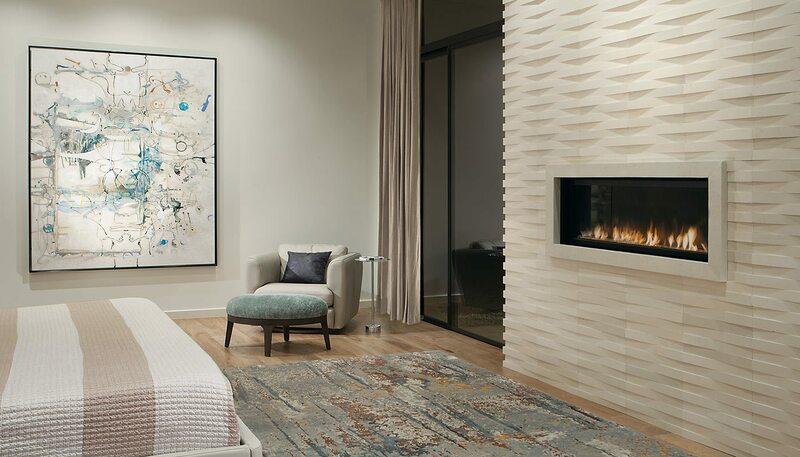 The new focal point of the great room is a stunning, massive Calacatta marble fireplace with floating concrete hearth.